Did you know that all of the moving parts on a Freedom Chair are actually bicycle parts? We designed it that way so our customers could bring it into a bike shop anywhere in the world to be serviced, but there's another huge benefit: there are so many cool bicycle accessories that would be an awesome addition to any Freedom Chair! Check out our favorites, and be sure to share ideas of your own in the comments section! These unique LED lights weave through tire spokes to create a picture when in motion. They come in a wide variety of styles and colors, and we think they'd look extra cool adorning the Freedom Chair's mountain bike tires! This epic bike horn is exactly what it claims to me - it possesses the sound and volume of a standard car horn, and it could easily clip on to the back of a Freedom Chair. Use it to alert drivers to your whereabouts - and feel free to give it an extra squeeze at anyone who forgets their manners. To the nature-loving GRIT team, this clip-on wearable planter was a no-brainer. Built specifically for a bike, this little 3-D printed gem is perfect for giving your Freedom Chair a little bit of quirky flair. Warning: its use may cause smiles for miles. 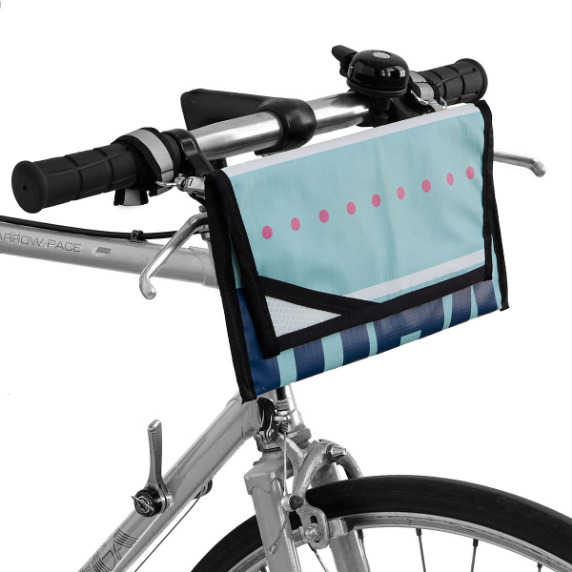 Make a sustainable fashion statement with a cute convertible clutch made from upcycled billboards, bicycle inner tubes, and nylon. Even though the Freedom Chair doesn't have handlebars, there are plenty of other spots for this handy little carrier. Enough room for your keys, wallet, and cellphone, this handmade purse uses velcro straps for snappy installation. Not only do the Freedom Chair's levers allow riders to easily traverse rocky terrain and avoid the shoulder strain caused by traditional push rim chairs - they can also be customized with any handlebar tape that catches your eye. Personally, we love the textured cushion - and eye popping colors - of Lizard Skins.